On of the most glaring details that was absent from the Samsung Galaxy S9 box leak last week (and there were a few) was any information regarding the upcoming handset's battery. Now, thanks to Brazil's telecom regulator Anatel, the S9 and S9 Plus' that particular detail may have been revealed. According to the certificates obtained by SlashLeaks, Samsung's next flagship handsets will have the same sized batteries as their predecessors, with the S9 packing a 3,000mAh unit and the S9 Plus sporting a 3,500mAh one — exactly the same capacities as seen in their S8 predecessors. 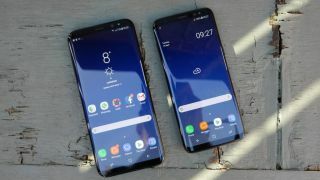 While the news that Samsung won't be increasing the size of the S9 and S9 Plus' batteries, the handsets' improved chipsets should still see battery life improved overall. Qualcomm's Snapdragon 845 chipset is expected to power the S9 series in the US, which is said to offer 30% better battery efficiency compared to last year's Snapdragon 835. On top of this, the Snapdragon 845 will boast Quick Charge 4+ technology, which Qualcomm says will bring your phone "from empty to 50 percent in just 15 minutes." In other regions, Samsung's own Exynos 9810 processor will power the handsets, which is also expected to less power-hungry than the previous iteration of the South Korean giant's 'system on a chip'. For now, however, we can only speculate. We'll have more concrete information when the Samsung Galaxy S9 and S9 Plus are officially unveiled in February, 2017.